In October 2014, HSVMA piloted a State Representative Program consisting of four HSVMA State Representatives-in California, Massachusetts, Minnesota and Rhode Island-who accomplished a great deal of successful outreach in a short period of time. The HSVMA State Representative program is now in full swing and our talented team continues its US expansion. 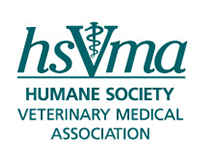 The HSVMA State Rep network consists of active volunteer veterinarian liaisons who conduct outreach on behalf of HSVMA to their respective state veterinary medical associations and the broader profession, and serve as resources on animal welfare-related issues for the veterinary community. They also help the organization with advocacy on legislative initiatives, provide expert witness testimony, submit legislative support letters, write letters to the editor, offer opinion pieces to media outlets and publish articles in professional journals. They also join with us in membership outreach at veterinary conferences, give talks at veterinary medical colleges and to other professional groups and provide us with vital first-hand perspectives "from the field". You can learn more about each of the HSVMA State Representatives below. And if you are interested in learning more about the program, please email [email protected].